KATHMANDU: With the monsoon at its peak, the number of common cold and fever patients has increased significantly in the Kathmandu Valley. 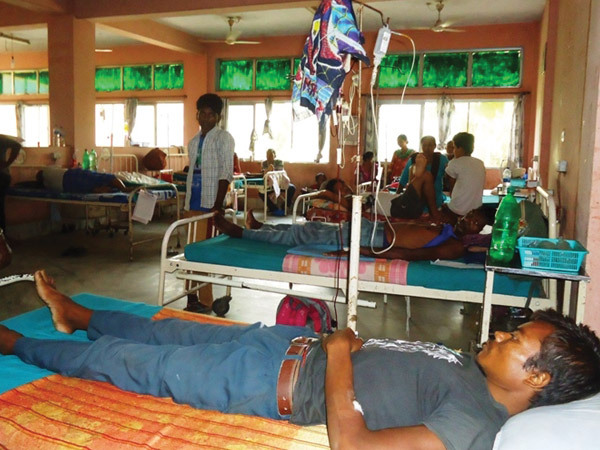 The influx of patients thronging the Teku Hospital with such ailments has risen lately, according to communicable disease specialist at the Hospital, Dr Sher Bahadur Pun. More than 10 fever patients come to the Hospital on a daily basis, according to Dr Pun. “The severe cases of influenza B are mostly seen among the youth this year. Although influenza B (commonly known as flu) is supposed to be mild, the infection has severely affected the youth,” he added. He shared that many patients seeking treatment at the Hospital were suffering from nausea, high fever, throat-ache and cough. Director at the Epidemiology and Disease Control Division, Dr Baburam Marasini, said the viral fever infection could grip people if they did not heed it on time. Furthermore, Dr Marasini stated that the chances of catching any communicable disease is high in the monsoon season due to muddy and dirty water. He suggested avoiding crowds, drinking clean and boiled water, consuming fresh and clean food and washing hands with soaps after coming home from outside. People are also advised to avail themselves of medical services from hospitals if the fever continued or got severer.